"Serving communities in developing countries"
Rotary New Zealand World Community Service was established to facilitate the international aid and development work undertaken by New Zealand Rotarians and its partners. 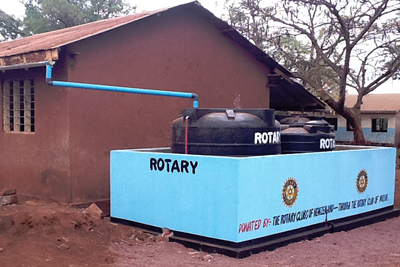 Service Above Self is Rotary’s motto. Serving others, especially those less fortunate than ourselves, is a big part of what service should be about. 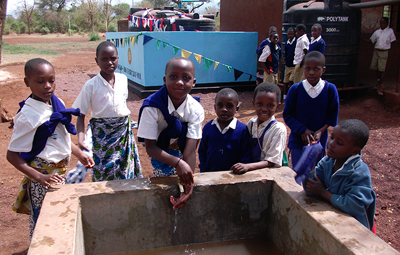 Rotarians serve their own local communities and also their wider international community. Rotary New Zealand was established to facilitate the international aid and development work undertaken by New Zealand Rotarians. New Zealand Rotarians partner in a variety of humanitarian projects, many of them in the Pacific though there are others in countries such as Swaziland, Tanzania, Uganda, South Africa, India and Nepal. International community service sometimes brings Rotary clubs from two or more countries together to serve one of their communities through a particular project. It’s true teamwork as there are always a number of other parties involved – local people in the project itself, governments, local authorities, and other partner NGOs. There is a great deal of work required in the background to ensure that projects Rotary New Zealand is involved in are well managed and as sustainable as possible. This is why Rotary New Zealand World Community Service was established. RNZWCS Limited is a professionally run company that represents and works for all Rotarians in New Zealand. Board members serve for up to three years. Rotarians and the public generously support Rotary New Zealand’s work overseas. In addition, since 1997, Rotary New Zealand has been responsible for development grants worth NZ$10 million, and from 2005, has received funding from the Ministry of Foreign Affairs and Trade's Humanitarian Response Fund for its emergency response projects. RNZWCS Ltd also operates a Donations in Kind scheme which advises on needs, provides storage and coordinates the distribution of goods, including Emergency Response Kits (ERK's), particularly to the Pacific Islands. Clubs sending funds overseas for World Community Service projects should send them through Limited to ensure the donor retains the ability to claim a tax deduction.